Iao Parkside is known for its perfect location in Wailuku where it is an easy access to all parts of the island AND pet friendly. Beautiful West Maui Mountains are viewed from this 2nd floor, 2 bedroom, 2 bath unit where you get great cross ventilation. Located on the right side of the first building on the left when you drive into Waiaka Lane. A quick in and out of the complex. The sellers are original owners who used it as a second home so well maintained. New security screen door greets you. Sun screen on lanai assist with privacy and keeping the unit cooler. AC in living room is fairly new. Being sold in as is condition. Seller may do a 1031 Tax Exchange and buyer to cooperate at no additional cost or inconvenience to the buyer. Parking stalls are 193 and 196. 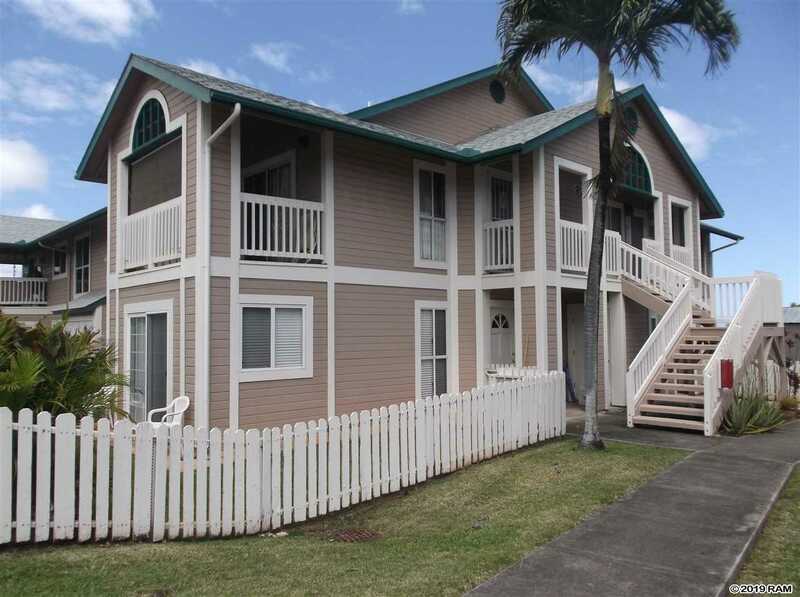 Please, send me more information on this property: MLS# 382245 – $324,900 – 9 Waiaka Ln Unit 31-204, Wailuku, HI 96793.